First-time author Gino C. Matibag, MD, PhD, lived in Sapporo for more than six years. He is an obstetrician-gynecologist, a researcher, and writes a newspaper medical advice column. JAPAN Lights and Shadows chronicles Dr. Gino C. Matibag’s experiences living in the Land of the Rising Sun. In heartfelt prose, he uses dry humor and candor to tell his story, from his life in the Philippines to finding his place in Japan. More than a memoir detailing the author’s personal journey, the book gives an honest glimpse into the Japanese culture, the lives of foreign scholars at the famed Hokkaido University, the challenges of conducting research, and the drama of going at it alone in another country. The author is at times self-deprecating and humorous, providing accounts of both his triumphs and occasional gaffes in this conservative culture. The doctor juxtaposes his Filipino background to his current life, showing the contrast so vividly that we feel as if we are transported with him. His recollections include trips outside of Japan to France, Sri Lanka, Switzerland, the United Kingdom and others. His enthusiasm shines through in these travelogues depicting the culture of some of the world’s most exciting destinations. Above all, Dr. Matibag emphasizes his commitment to his profession and his mission as a scholar who must do what is right. Beneath the joys of being a successful expatriate, he paints a picture of the machinery running the Japanese academe, showing a side of Japan we have never seen before. "The Chapter 11, Leaving Japan, for which you wanted to write this book most, leaves me still with the uneasiness and a kind of anger toward the professor. "About the spiders and cockroaches in Sri Lanka. Well, people from Hokkaido aren't so familiar with big ones. Since I used to live in Kyoto I know these guys and treated them like you did!" "Very informative. Describing a candid view of what it is like to live in Japan. A must read to everyone but especially for those that would like to take glimpse of what is like to live in a foreign country. " “JAPAN Lights and Shadows is a must read book to all people who would like to live, work and study outside their own country especially among Filipinos. I really love every page of it, very informative, with sense of humor especially the first four chapters of the book. "As a Filipina who came here with less knowledge about Japan, this book lightens me up of some things in life which I really don't know. "JAPAN Lights and Shadows tells not only about living in Japan but tells about what life is...How you transform or how you adjust yourself in living, and how you make your own choices and decisions in life ....A MUST READ!!!" "JAPAN Lights and Shadows by Dr. Gino Matibag, is a bold and compelling story of a Filipino scholar in a Japanese University, who had success despite hardships in his cultural assimilation in the complex, secretive and bureaucratic structure in the Japanese academic system. The author also shared his good experiences and memories about studying and living in Japan as a scholar in the field of medicine. This book is highly recommended for foreigners who study in Japanese universities as scholars." "JAPAN Lights and Shadows is a brilliantly and candidly written memoir destined to surely arouse the interest of every reader. It is profoundly inspiring, informative and mind-broadening. It also makes everyone take an honest and insightful look at his/her moral philosophy. "May God richly bless you, Doc Gino. We commend you for coming forward and telling us your story. Not everyone would be that willing to share his/her life and thoughts to the extent that you have in this book. Best wishes! - Jenn and Mel"
"I love this book. JAPAN Lights and Shadows is a most extraordinary retelling of ordinary foreign students' experiences in the Land of the Rising Sun. Dr. Gino Matibag is a superb writer with an excellent and keen sense of all the things going on around him. No one has ever written anything about the life of foreign scholars as comprehensively as he did. A must read for all former scholars and would-be scholars. Congratulations! I look forward to the sequel of this book. Keep on writing, Doc!" "Great book Gino! So hard to even pause once I started reading." “First time I ever read a book in one sitting. I thought I know the author very well since I met him from the first time he came to Sapporo. However after reading JAPAN Lights and Shadows, I was awakened and left dumbfounded on how he revealed the absolute balance in expressing the vivid truth behind the lights that showed him the way to come here and pursue a different world and the shadows he encountered as well in his field of studies, let alone in one of the most prestigious University here. The author toured and entertained us through his experiences with great joy, precision, and delicate taste. "The only book that I finished while sitting. "Back in the day, the author, who happens to be my brother, used to tell me his experiences in a random and comic manner. He showed me lots of photos and videos and in that way, I was able to have a glimpse of Japan. But never did I, and maybe him as well, imagined that all those stories will be compiled and shared to the rest of the world thru a book. As I was flipping the pages of JAPAN Lights and Shadows, I can hear the author personally telling the stories to me. The funny thing is that I can almost hear him laughing! He was able to convey his message in a very delightful way. Though the experiences are sturdy, he was able to relay it with ease. "The book revealed the other side of him I never saw. I’ve always known him for being a born go-getter, but never did I know that his sense of focus and determination to get his goals was that robust. I learned that his professionalism and dedication to his craft is on a very high level, and as a result, this enthusiasm in his career was reciprocated and has turned his life for the better. I was amazed on how he trained his mind how to think, and for sure this helped him make his way up. I also admire his attitude towards life. He embraced the challenges courageously with a positive mind-set that it will be an avenue for him to reinvent himself. Leaving his comfort zone may, at some point be considered martyrdom on his end, but still, he chose to do it in order to fight for what is right and for the value of truth. "Truly an inspiring piece not only for those who are aspiring to study in Japan and not only for those who wants to visit the place, but for anyone who is aspiring for change and yearns for greater heights." —Iryne C. Matibag, Business Development Officer, Manila, Philippines. “A truly good read especially for those travelling outside their comfort home country. Brought back a lot of good and unusual memories for myself. "I can say that this book is a blessing, because it made us see that we, Filipinos, have integrity, honest, have a strong determination for the truth, and we are a good people. "To the author, I am thankful for the gift of having him as one of the wonderful children that God gave me. I'm so proud of him for being tough in all trials and circumstances he has encountered. As I read the book, I cried and laughed in all his stories, and felt happy because he was able to see so many places in the world. He is indeed a dignified person and has a good decision. "I thought he was only a physician who gives care to his patients, yet he turned out to be a researcher and a gifted writer. I always pray to God for the plans He has for him. And lastly, thanks for dedicating this book to me and Inay. "JAPAN Lights and Shadows–A two thumbs up! Once starting reading a page, you’ll want to finish the whole book. "As a graduate student in Japan, the book serves a very good reference for the things that you are doing, about to do, what to do, and the things that you don’t expect about Japanese people. It is a definite enjoyment to read, as if you’ll be in the author’s shoe. With the author’s experiences, you’ll laugh, envy, be amazed, be impressed, be curious and wonder why. The great thing about the book is it’s not simply an account of one’s experiences, it’s bundled with a golden lesson in life that you will surely gain, keep, and treasure as you live. "Curious enough what are the lights and shadows of Japan and the lesson that comes along with it? Get a copy now! For sure it's a guaranteed satisfaction." " Once you pop,you won't stop... "
“Kudos to Doc Gino! I finished the book in just one night of reading. For all of us who lives and still continues to survive in this land of light and shadows, Doc Gino's book is such a delight to read. I saw myself in Doc Gino's shoes in so many pages of his book. His book is a testament that it's not you alone who suffered (and enjoyed) it here in Japan. We all did--one way or the other. "Gino C. Matibag, M.D. has taken us on a personalized tour that challenges a point of comfort in our own lives. This book entails his journey through graduate school and the esteemed fellowship program with a highly ranked global-scale university. This is a great prelude for any students or travelers to an exotic or enigmatic destination. "The writer traveled to an unknown land, that had an unknown language to him to personally prosper in his own “light.” The foods, the culture, the scenery, the wonder of newness in the adventures and experiences were delightful. He even brings us the moments of insecurity, he takes us to the vulnerable place we all have. He challenges, conquers and moves forward with the anticipation of expanding his mind to envelope as much of the world as possible. "Since English is considered the “universal” language, it was of great import that Gino learned it for his future endeavors. Of Philippine descent, Gino shows his struggles with the Japanese language and honestly depicts how he manages to make a multiple year residency possible. Gino was able to. turn around his inadequacy of the Japanese language and become a prime asset to his department. All documentation that had to be prepared and destined for release was required to be in English. His fluency in English was an important tool as the currency of speech when the scholastic department was challenged with a complex presentations. This skill is necessary, pivotal and valuable to all major international universities. "Finally, this writer takes us to his innermost frailty, his trust. Trust is a very serious and deeply personal emotion. Trust is a quality with which we can endow others, and do so with great caution. Gino shares his experience of pain due to disappointment in someone with whom he blessed with much respect, high ethics and near glory than that person actually possessed or deserved. "Gino is intelligent yet humble, even with all the hardearned letters following his name, and is open about all the experiences he describes. Hopefully, there will be more chapters, yet from Gino C. Matibag to cover other areas of the 'Lights' and the hidden 'Shadows' of a country of multiple enigmas." "Hi Gino, just finished the last page of your book. I started reading it the other day before going to bed. I enjoyed reading..you have that gift of a writer. I remember "The Sum of Our Lives", memoirs written by Isabelle Allende which I also enjoyed reading every page......Most of all I admire you for being courageous, taking stand for what you believe is right. Fate willed it that you know only about those things late so you could enjoy your stay in Japan to the fullest including finishing your studies and a number of research papers. It could have been challenge to finish your doctoral studies had you known those irregularities earlier. "Congratulations for having written your first book ..I see more coming. I salute you for being brave and daring....and for playing your cards well. Your host professor surely will never forget you, one brilliant Filipino. Let your star shine more, Gino." “Gino Matibag’s JAPAN Lights and Shadows is pleasurable to read, a keyhole peek into the life of a Filipino scholar attending a Japanese university. This book is based on thoughtful observations by the author as he leads his readers totally engaged in understanding not only the Filipino and Japanese cultures but also the secret culture of being and becoming a part of the medical research academic world. "Dr. Gino Matibag's book JAPAN Lights and Shadows is a well-written, informative narrative of his experiences living in Japan for more than six years. Dr. Matibag describes the challenges he found in adjusting to the cultural differences between Japan and his homeland of the Philippines–much of which was quite an eye-opener for me–and nicely balances this with his praise of the gems he found as well, including the cuisine, technology, history, and, of course, the people. Dr. Matibag also shares his travel experiences to other countries, including the United Kingdom, France, Sri Lanka, and Switzerland. "I thoroughly enjoyed this book. It’s a frank, open, and heartfelt story of one man’s journey, living in a country that never ceased to fascinate him. I highly recommend it to anyone, especially those who plan to study, work, or live in Japan." “This book retells the colorful journey of Gino Matibag, a Filipino OB-GYN physician who leaves his promising medical practice in his hometown in the Philippines to become a university scholar and researcher in Hokkaido, an area located in the northernmost part of Japan where the long winter solstice can be harsh and dangerous while the joys of summer are very short, precious and elusive. Here, the author paints us his contrasting lifestyles between two countries: Japan vs. The Philippines. As a sojourner, he recalls his many vivid experiences, both pleasant and unpleasant, and the extreme intensity of these experiences that have become a learning curve or a life-lesson for him in developing a deeper and greater understanding of someone else's motive, culture or behavior. “As he gradually establishes his insulated pattern of living in Japan by interacting primarily with his host researcher and mentor, his professional colleagues at the university, and the people whom he comes across with in his daily activities, he soon discovers that Japan isn't that perfect after all. Behind the immaculate and fine trimmings of Japan also lie its dark secrets and cold labyrinths. It reveals its stark, austere and inhospitable consequences when one becomes very limited from speaking, understanding or writing its language. Behind the country's rapid advancement in technology is also its languishing and unforgiving system that's wrapped inside the very core of its rigid bureaucracy. “I definitely recommend this book to those who are curious and hungry to know more about Japan but haven't left the shores of their native country. It's a practical guide to those who need to know what's acceptable and what's not when working outside one's turf; a tongue-and-cheek narrative to those who like to define their principle and character in life; a source of wisdom to dreamers and newcomers, and a warning signal to those who are caught in a very uncompromising situation. “Japan. What is the magical spell this country puts on young people from all over the World to declare they want to move, live, and give up their citizenship to this country without ever visiting it before they go? I see this on Japan forums throughout the Internet all the time. Japan, as I can attest to, is a country I can say I both love and hate at the same time having lived there for 3 years. No other country I've lived in makes me feel this way. “In his book JAPAN Lights and Shadows, Dr. Gino Matibag sheds some light on these strange feelings through his own personal experiences living, working, and studying in Japan. It is remarkable to me that even though we are from different countries, we as foreigners, had very similar experiences (one he lists I am personally involved in, even though we hadn't met at the time). He describes his difficulties in adjusting to a culture and climate very different than in his homeland of the Philippines. Not only does he talk about the difficulties, but also the beauty and good times of living there and his adventures in other parts of the World during his time abroad. “The JAPAN Lights and Shadows, an autobiography by Gino C. Matibag, M.D. Ph.D, is a book well-nurtured and written through time. A story with new insights about the Land of the Rising Sun, not to mention its new technologies and innovations imparted worldwide. It is a must-read book for those who want to venture studying and living in Japan. “The book, JAPAN Lights and Shadows, chronicles Dr. Gino C. Matibag’s experience living in the Land of the Rising Sun for more than six years. In his heartfelt prose, he uses dry humor and candor to tell his story—from his life in the Philippines to finding his place in Japan. “More than a memoir detailing Dr. Matibag’s personal journey, the book gives an honest glimpse at Japanese culture, the lives of foreign scholars at the famed Hokkaido University, the challenges of conducting research, and the drama of going at it alone in another country. The author does not view his experience through rose-colored glasses. At times self-deprecating and ironically humorous, he gives us detailed accounts of both his triumphs and occasional gaffes in his adopted country. 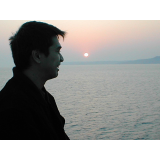 “In many instances, Dr. Matibag successfully juxtaposes what his life was like in the Philippines and his life in Japan. He lets us see the contrast so vividly that feel as if we are transported to Japan with him, as he describe every element of the things that happened to him with surgical precision. “Readers will also enjoy the fact that Dr. Matibag’s recollections include his many trips outside Japan—to France, Switzerland, the UK, and Sri Lanka. The doctor gleefully dives into the cultures of all these countries. His enthusiasm shines through in the segments that may very well be travelogues of the world’s most exciting destinations.